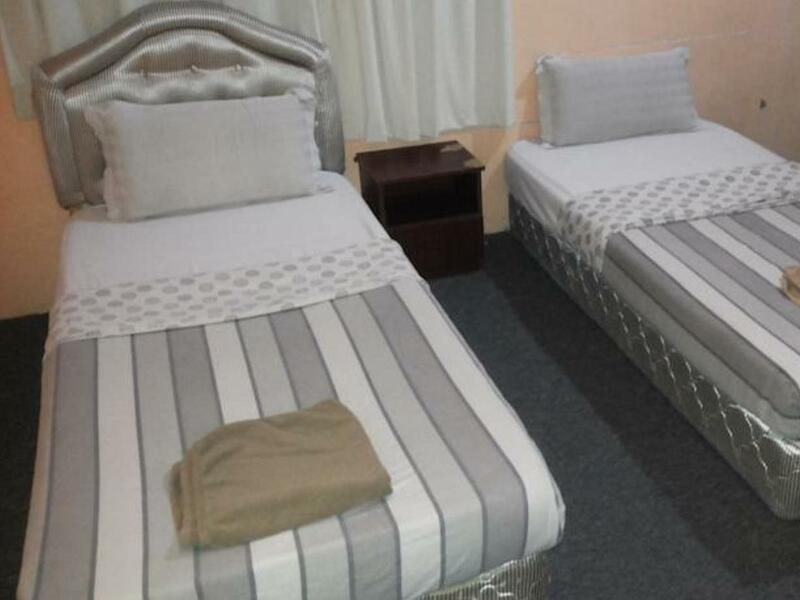 Ada pertanyaan untuk Green View Motel? Baik untuk tujuan wisata atau bisnis, Green View Motel adalah pilihan akomodasi yang tepat ketika mengunjungi Kota Kinabalu. Dari sini, para tamu dapat menikmati akses mudah ke semua hal yang dimiliki oleh kota yang aktif ini. Properti ini terletak di sekitar obyek wisata populer di kota ini, contohnya Museum Peradaban Islam, Science & Technology Centre, Mesjid Negeri Sembilan. Setiap upaya dilakukan untuk membuat tamu merasa nyaman. Dalam hal ini, properti menyediakan pelayanan dan fasilitas yang terbaik. Sejumlah pilihan fasilitas kelas atas,seperti WiFi gratis di semua kamar, layanan kebersihan harian, penyimpanan barang, Wi-fi di tempat umum, tempat parkir mobil dapat dinikmati di sini. Suasana Green View Motel tercermin di setiap kamarnya. televisi layar datar, akses internet WiFi (gratis), AC, meja tulis, televisi adalah beberapa contoh fasilitas yang dapat Anda nikmati. Properti memiliki berbagai pilihan fasilitas rekreasi yang memungkinkan Anda melakukan bermacam hal selama menginap. Apapun alasan Anda mengunjungi Kota Kinabalu, Green View Motel adalah tempat yang sempurna untuk liburan yang menyenangkan. 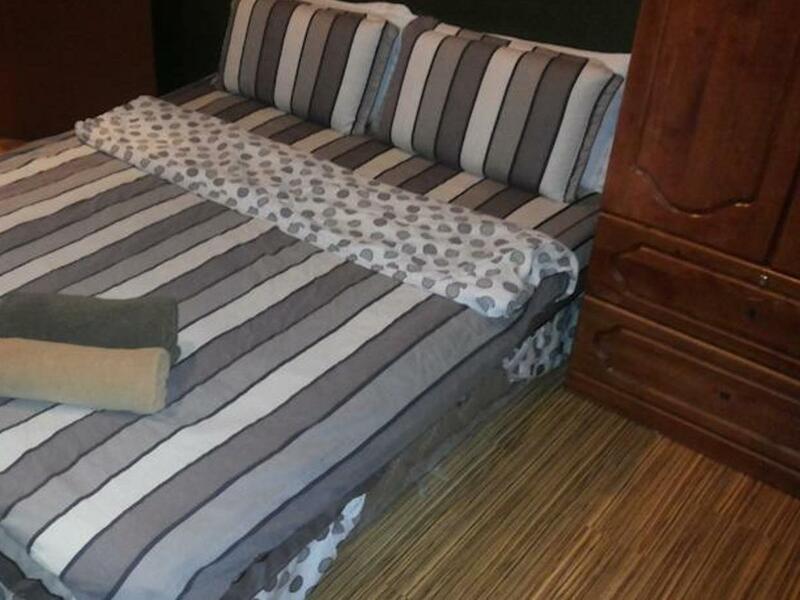 bilik sempit keada seperti hostel biasa.tiada app keistemewan. Cheap for the room size. But, no running water for take bath in the morning. Loud noise from outside of the room. If you stay on ground floor you can easily heard people talking at the lobby and outside of the hotel because there were small restaurant kust outside of your window. Not a strategic place. Bathroom were dirty saw dead cockroach on the floor. If you looking for 1 night stay or a flight transit yes it is okay because it is really cheap. But for long stay just skip on this one. 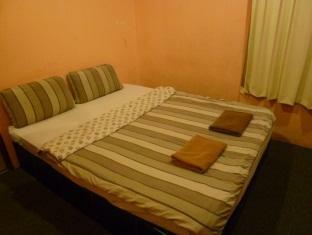 Budget place to stay, around 3-4km to city center, easy access to city by bus or grab car. The TV only have one channel but it's OK for us. Shared Toilet need maintenance to make it more comfortable to others. Staffs are friendly however they always makes noise even in the early morning or night time,the TV sound at Libby too loud sometimes and can be heard in our room (101) I believe the room next ours can heard it clearly too. ( u can slow down the volume actually since the staffs is the one who watching it for almost all of the time. ) one mini mart is near at motel about 5 mins walking distance. Overall, it's good but the biggest problem is the toilet and the noise make by staffs. Easy to find local food. Just to be fair to all those budget-seeking-travelers out there just like me, pls find another place to stay (at least 7 stars above) at the heart of KK central business district. I need to point out several major issues I have encountered here: (1) SECURITY: No security at all. A "lost wandering guest" successfully open my room with his key and horrified by it, what if I am not in my room at that time? Notified the Front Office during check out and he just said that maybe they need to change the door locks by now (I believe he said that to the guests who have stayed there before) (2) BED/PILLOW/BEDSHEETS: Although it is clean enough to be slept on, but you can see holes in you pillow (I rq housekeeping lady to change it, kind of her to do so) and sheets and yellow stains on it. The bed is thin enough you might sleep better on the floor instead. ROOM OVERALL: Yellow stains (looks like they tried to clean it, but it is still obvious!). Extremely very thin walls you could here TV blaring from the other rooms. FACILITIES: Bathroom is shared, separately for guys and ladies. With water heater. The bathrooms seem clean but I am not sure why the rubbish bin seems to be an eye-sore when it is placed behind the door's entrance. For the amount I paid for, I didn't expect anything fancy about this motel. True enough, it's just okay for a night or two in Kota Kinabalu. The bed sheet and blanket in our room were tired and the TV didn't even have a clicker. The aircondition system was working great though. It's also far from the city center and will take you sometime if you plan to walk from and to the airport. Pro - Of course because of the price. Cheap - Wifi was ok Cons - The room was so smelly and you can hear people walk from the outside of your room. - Ive got a room thats not include TV, mirror and also a aircond remote. - Ive choose a shared bathroom and i was not happy with their toilet because i cant lock the door. Conclusion This motel is for a people who want to stay for 1 night not suitable for family. This is the first and the last time i will stay here. pros : cheap . aircond . near mini market cons : share toilet . a little bit dirty toilet . lamp switch (can't turn it off in my room) . can't watch the TV .. not suitable cleanliness person . the broken water tap need to replace, mold/mildew in the bathroom need to clean, change the old mattress & pillow it might contains bed bug. Overall, it is a good place with good staff. The hotel maintenance was poor. Remote Air cond was not maintained properly. Air cond hose line also leak in room Shower can not be used since the water was not strong enough to flow. The reception gave pail instead of shower. The motel is 3 km near the airport. You can't really walk from the motel to the airport with your luggage. The staff is helpful and help me to arrange a taxi to the airport at 4am. The taxi driver however charges me 40 RM, which is even more expensive than the stay in the motel... The cleanliness of the room is average. You cannot expect too much as it is just a budget stay. The toilet is horrible with many inserts, and girlfriend refuses to have bathing inside. The room is large enough for placing luggage, and there is air con and TV inside. Inside your room, you can also access to the motel wifi. You need to hand in 50RM for deposit during check-in.